Traumatic events, including natural disasters, are distressing. Strong reactions immediately after the event are very common. Fear, sadness, guilt and anger are all common emotions felt by children, teenagers, and adults. People start to question their own beliefs, particularly about their safety, sense of control over their life, and how predictable the world really is. It is important to realise that the impact of a natural disaster can be far-reaching, even for children who were not at the site of the disaster. Children can be affected by other people's responses and what they see or hear about through media and conversation. Natural disasters like bushfires, floods, cyclones, drought and other traumatic 'natural' events are extremely challenging for the people directly affected. The stress caused following a natural disaster can lead to 'burnout' and physical, mental and emotional exhaustion. Some people will be able to manage the stress but for others it may be difficult to cope. Most people eventually heal and recover and go on to rebuild their lives. 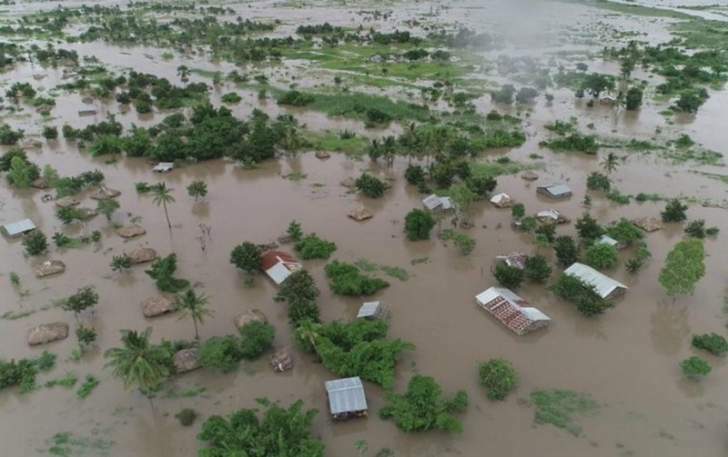 Zimbabwe was ravaged with the most ruthless strong floods caused by a cyclone named cyclone Idai. idai not a Shona word because there is nothing to love from this cyclone. As one visits the town of Chimanimani, you will see it nearly empty, still partly under water, and waiting for life and hope to return. Eastward from Chipinge to Mutare, Mutare to Nyanga, Chimanimani to Masvingo millions of lives were changed in a day by a cruel and wasteful storm. For the first time in our life time we have seen fellow citizens left stunned and uprooted, searching for loved ones, and grieving for the dead, and looking for meaning in a tragedy that seems so blind and random. We've also witnessed the kind of desperation no citizen of this great and generous nation should ever have to know -- fellow Zimbabweans calling out for food and water, vulnerable people left at the mercy of criminals who had no mercy, and the bodies of the dead lying uncovered and untended in the street. The survivors and the deceased are put together in the same church for shelter. Never mind the risk of catching diseases from the dead. These days of sorrow and outrage have also been marked by acts of courage and kindness that make all Zimbabweans proud. Civilians and other personnel rescued tens of thousands of people from flooded neighborhoods. Religious congregations and families have welcomed strangers as brothers and sisters and neighbors. In the community of Chimanimani at Hospitals doctors and nurses did not eat for days so patients could have food, and eventually carried the patients on their backs across the damaged bridges. Many first responders were victims themselves, wounded healers, with a sense of duty greater than their own suffering. So many brave stories are coming from the people "I lost my house and I lost my cars, but I still got my family, and I still got my spirit." Said the headmaster of one school were five children were swept away by the floods. Across the Eastern borders among people who have lost much, and suffered much, and given to the limit of their power, we are seeing that same spirit -- a core of strength that survives all hurt, a faith in God no storm can take away, and a powerful Zimbabwean determination to clear the ruins and build better than before. We have seen all Zimbabweans united above politics and in the spirit of hunu, ubuntu. Today so many victims of the cyclone and the flood are far from home and friends and familiar things. You need to know that our whole nation cares about you, and in the journey ahead you're not alone. To all who carry a burden of loss, we extend the deepest sympathy of our country. To every person who has served and sacrificed in this emergency, we offer the gratitude of our country. And tonight we also, also offer this pledge of the Zimbabwean people: Throughout the area hit by the cyclone Zimbabwe must do what it takes, it must stay as long as it takes, to help citizens rebuild their communities and their lives. And all who question the future of the Chimanimani need to know there is no way to imagine Zimbabwe without the East and this great city will rise again. Zimbabwe must desist from politicking in this situation. Every person must be allowed to help. We must not forget that if Zimbabwe was a different country heads must fall. The nation was aware of the cyclone months before yet nothing was done. This spirit of wanting to cry the loudest after a comic failure must not be rewarded. Our soldiers did not mobilize to warn the people. The authorities went to bed early, the minister of environment only to be seen five days after the disaster, does she even know her duties. This is the time when reshuffle is necessary. Zimbabwe is so peaceful and would want to blame God for this. God warned us weeks before the disaster. Those in authority did nothing, they may be underestimated the force and impact of the cyclone. Schools were marooned the minister of education is nowhere to be found probably on the twitter. There is no excuse to this inaptitude, inefficient and unthoughtful reaction to this disaster. Being seen on the ground after the disaster is not enough. There should be plans for tomorrow. Zimbabwe must be prepared for tomorrow. We must have civic department ready for things like this. The minister of environment must not only be seen on the monthly cleaning days. We must now see her and those who love to clean before the camera to flood Manicaland and clean the area. The resident minister for Manicaland is busy invading land not even a word from her. What an embarrassment, the president has to cut short his business to deal with the issue while the minister is out for lunch. Does it have to be the president to do this, where exactly are we going? The work of rescue is largely finished; the work of recovery is moving forward. In nearly all of Manicaland, electric power has been cut and communication is a problem. Where is the minister responsible for communication? Twitting fake news is not news. We have a national crisis. This needs all of us to work together and we need to be on top of things. Environmental officials must be on the ground, taking water samples, identifying and dealing with hazardous debris, and working to get drinking water and waste water treatment systems operating again. And some very sad duties are being carried out by professionals who gather the dead, treat them with respect, and prepare them for their rest. In the task of recovery and rebuilding, some of the hardest work is still ahead, and it will require the creative skill and generosity of a united country. This must not be for ZANU PF alone. Those who are specialized in pouring sand, kudira jecha, can you come and do so we need more send for our bridges to be rebuilt. The first commitment is to meet the immediate needs of those who had to flee their homes and leave all their possessions behind. For these, every night brings uncertainty, every day requires new courage, and in the months to come will bring more than their fair share of struggles. This commitment must be taken by both the ruling and the ruled parties. The president of the country must sign an order and declare this a national disaster. The government must swing into action behind the camera and not only for the camera. Steps should be taken to ensure that the evacuees do not have to travel great distances or navigate bureaucracies to get the benefits that are for them. Medication must be availed and health stations must be erected for emergencies. Zimbabwe must be Zimbabwe and we must be above politics for the love of our country.To carry out the first stages of the relief effort and begin rebuilding at once, the government must avail more than $60 million dollars. This should be an unprecedented response to an unprecedented crisis, which demonstrates the compassion and resolve of our nation. The president must invoke the presidential powers to deal with this situation. Our second commitment is to help the citizens of the affected areas to overcome this disaster, put their lives back together, and rebuild their communities. Treasury must disburse the money for emergency and infrastructure restoration. Our goal is to get people out of the shelters by the middle of April. So direct assistance to evacuees must be done now, and the costs of repairing public infrastructure in the disaster zone, from roads and bridges to schools and water systems must be easily availed. Our goal should be to get the work done quickly. And taxpayers expect this work to be done honestly and wisely -- so there must be a team of inspectors reviewing all expenditures. There are some greedy vampires who are seeing money from the disaster may their souls burn in hell. Our third commitment is this: When communities are rebuilt, they must be even better and stronger than before the storm. Within Manicaland region are some of the most beautiful and historic places in Zimbabwe. So let us restore all that we have cherished from yesterday, and let us rise above the legacy of inequality. When the streets are rebuilt, there should be many new businesses, including minority-owned businesses, along those streets. When the houses are rebuilt, more families should own, not rent, those houses. When the regional economy revives, local people should be prepared for the jobs being created. Devolution must start in that area now and now. Zimbabweans want Manicaland not just to survive, but to thrive; not just to cope, but to overcome. We want evacuees to come home, for the best of reasons -- because they have a real chance at a better life in a place they love rebuild by the Zimbabweans themselves. The President must instruct the creation of an East Opportunity Zone, encompassing the regions of the disaster. Within this zone, we should provide immediate incentives for job-creating investment, tax relief for small businesses, incentives to companies that create jobs, and loans and loan guarantees for small businesses, including minority-owned enterprises, to get them up and running again. It is entrepreneurship that creates jobs and opportunity; it is entrepreneurship that helps break the cycle of poverty; and the government must take the side of entrepreneurs as they lead the economic revival of the region. The work that has begun in the region will be one of the largest reconstruction efforts Zimbabwe has ever seen. When that job is done, all Zimbabweans will have something to be very proud of -- and all are needed in this common effort. It is the armies of compassion -- charities and houses of worship, and idealistic men and women -- that give our reconstruction effort its humanity. It's also essential for the many organizations of our country to reach out to your fellow citizens in the area. We must forget campaigning for political parties; we must not make this disaster a political platform. Zimbabwe is far from elections; let us do this without being in an election mode. Zimbabwe must allow every Zimbabwean to help regardless of his political inclination. The government of this nation must do its part, as well. Our cities must have clear and up-to-date plans for responding to natural disasters, and disease outbreaks, for evacuating large numbers of people in an emergency, and for providing the food and water and security they would need. There must be a detailed emergency planning to be a national security priority. It takes ten minutes for a reactionary force of the police to react to demonstrations in towns, why can it not take a second to react to a natural disaster you have been aware of for months. Even knowing the date and time. The disaster in Chimanimani was a proper negligence and not natural. The government is responsible for setting up these reactionary forces and this should have been done long back. Zimbabwe must never leave its destiny to the whims of nature. we must be Zimbabweans and work for those who will come after us. These trials must also remind us that we are often stronger than we know -- with the help of grace and one another we must have hope beyond all pain and death, . And they remind us that we're tied together in this life, in this nation -- and that the despair of any touches us all. Zimbabwe must desist from the leadership of politics, this disaster must bring us together and we must fight it together. (vanobika doro bikai,vane jecha huyai naro, mhandu ngadziuye tivake Zimbabwe.) Those who brew beer please do, those who are specialised in pouring sand please bring the sand; all enemies come so that we build Zimbabwe.